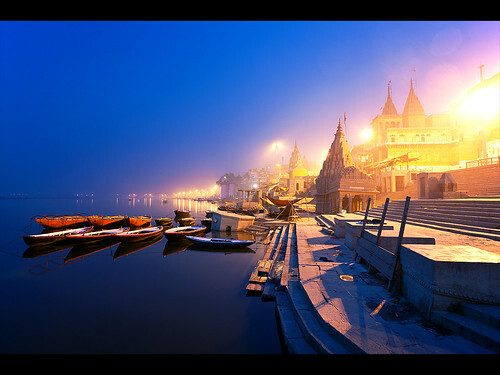 The kashi vishwanath temple is located in the heart of the cultural capital of India, Varanasi. It stands on the western bank of the India’s holiest river Ganges. The kashi vishwanath temple is the center of faith for millions of Hindus. The jyotirlinga of shiva, vishweshwara or vishwanatha is enshrined in the kashi vishwanath temple, considered as one of the holiest temples of India. In hindu religion it is believed that a simple glimpse of the jyotirlinga is a soul-cleansing experience that transforms life and puts it on the path of knowledge and bhakti. The kashi vishwanath temple live darshan has been a living picture of the timeless cultural traditions and highest spiritual values. The kashi vishwanath temple live darshan attracts Hindu devotees and other visitors not only from India but also the world over. Lord vishwanath is considered the supreme repository of the spiritual truth and strengthens the bonds of universal brotherhood. Late maharani Ahilya Bai holkar of Indore built the temple in present shape, way back in 1780. In the year 1785, a Naubatkhana was built up in front of the temple at the instance of governor general. The management of the kashi vishwanath temple live darshan rests with a trust. The live darshan of the kashi vishwanath temple begins every day at 2.30 AM for the Mangala aarti and between 3 to 4 A.M ticket holders are permitted to join. The timing of the general darshan is from 4 to 11 AM. The timing of the midbhog aarti is from 1130 to 12 AM. Between 12 noon to 7 PM, the general devotees are free to have the darshan. The live darshan of the kashi vishwanath temple has so much importance in the people’slife that they always wish to have the live darshan of the temple if they cannot visit the place in person. The temple premises also have vendors to sell the cassettes and DVDs of the darshan being recorded and giving the worshippers a real time experience and eternal peace by watching the holy deity. The live darshan has so many aarti’s to show to their worshippers. There is a Sapta aarti that is held between 7 to 8.30 PM at the location and the live darshan also shows the same.